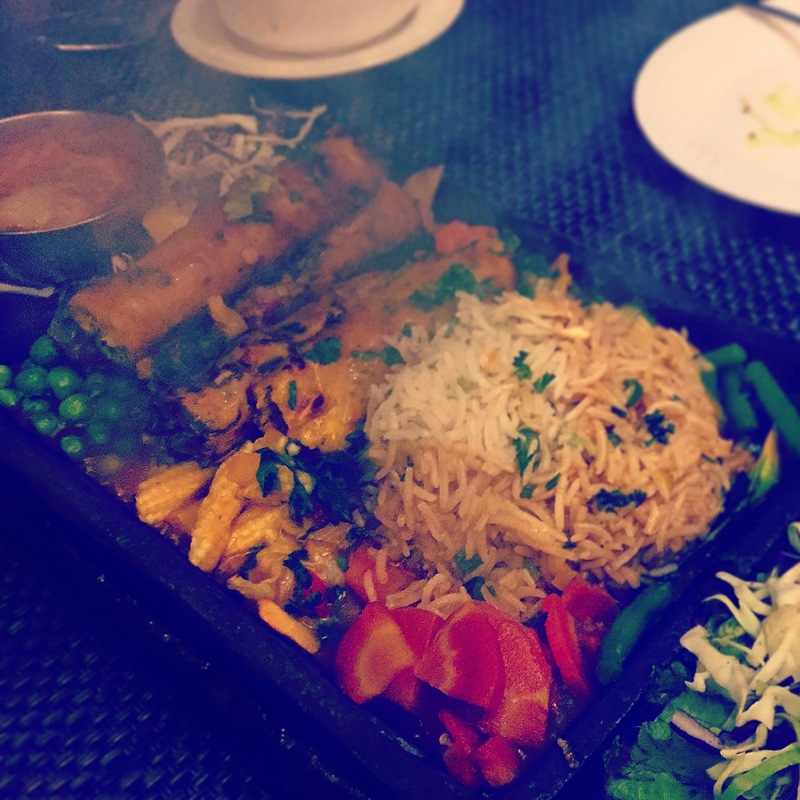 If you grew up in the 1980s, visiting restaurants especially in the heart of Delhi, then Gola Sizzlers might appeal to you. It’s nostalgic in that sense, with the decor or the manager personally taking the order and checking on you during the meal. It even has that smokiness to it that I distinctly remember from visiting some of the classic places in Caunnaught Place. Now, while earlier it was mostly due to cigarettes being smoked in the open, here it’s temporary due to the steam of the Sizzlers that come out every few minutes. Gurgaon’s Sector 29 has become a major hub for foodies with the numerous food outlets. 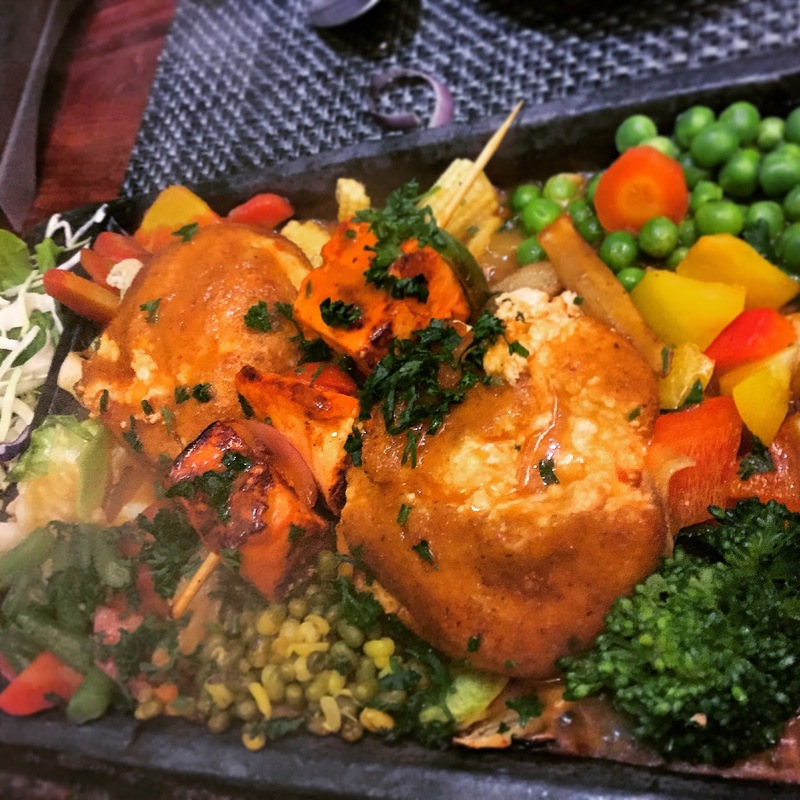 Gola Sizzlers has tough competition and while it hits the mark in food, at least the things we tried, it misses on some of the other stuff. It’s fairly average on all accounts in terms of ambience, decor, and service. I would like to mention that the service was not bad and we did not have any trouble with it, but it didn’t stand out either. The Manchow soup that we ordered wasn’t that great and was left half finished, but the Tomato soup was very old fashioned with the spice and croutons and personally I loved it. The sizzlers that we tried, vegetarian both of them, were excellent and so was the quantity, so much so that four adults were able to make do with two sizzlers and a starter. Gola Sizzlers is a nice change from the usual fare, especially if you want to have Indian food but want to avoid the usual Dal-Roti routine. However don’t go with high expectations and you should be just fine. Another mentionable point is that even though the place was packed, as there was waiting by the time we left, the service was fast.